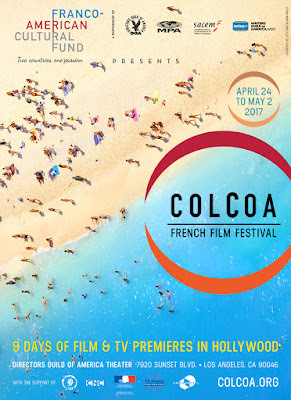 The 21st COLCOA French Film Festival presented by The Franco-American Cultural Fund is premiering a record number of 82 films in 9 days, from April 24th to May 2nd of 2017, at the Directors Guild of America in Los Angeles. This yearly event will screen French productions and co-productions with Canada, Italy, Egypt, Tunisia, Russia, and Belgium among others. 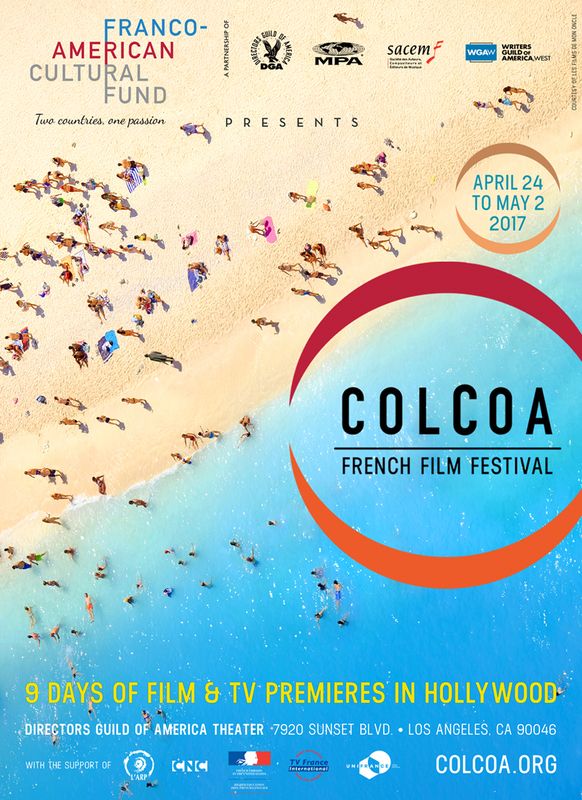 COLCOA is the largest French theme film festival in the World. Many of these films won awards at Cannes, Berlin, Toronto, and Venice. The festival has an important section dedicated to the Classics. This year COLCOA (City of Lights - City of Angels) screens "Playtime" by Jacques Tati. Plus the festival is having a tribute to Jean-Pierre Melville's 100th anniversary with the short “A Day In a Clown's Life” and the restored version of the artistic crime thriller “Le Cercle Rouge” with Alain Delon. 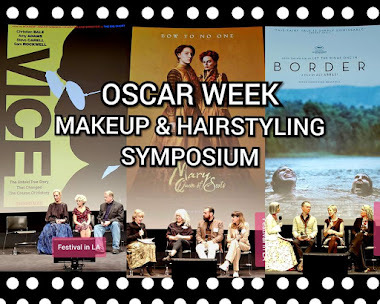 The program includes films from renowned filmmakers like Bruno Dumont, Marco Bellocchio, Hugo Gelin, and Claude Lelouch. COLCOA lobby Photo by Jose A. Hermosillo. Copyrights Festival in LA 2017. For the second year, COLCOA will continue promoting the Television Dramas and Series. COLCOA has a new web-series competition, plus a virtual reality exhibit. 25,000 students of Los Angeles will be exposed to the wonders of French Cinema. 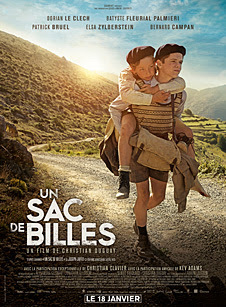 They will have a screening of a marvelous film about two Jewish children fleeing Paris from the Nazis, “A Bag of Marbles/Un sac de billes.” This effort is presented in conjunction with the nonprofit organization ELMA (European Languages & Movies in America). 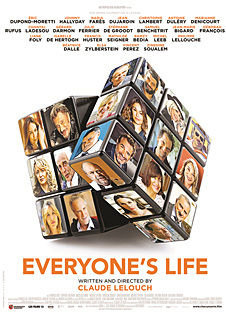 This French language festival opens with an audacious romantic-comedy “Everyone’s Life/Chacun sa vie” directed by an Academy® Award winner, director Claude Lelouch (“A Man and a Woman”). Lelouch teams up again with Oscar© winner Jean Dujardin and a whole A-Class French ensemble cast, just to make people laugh and have fun. 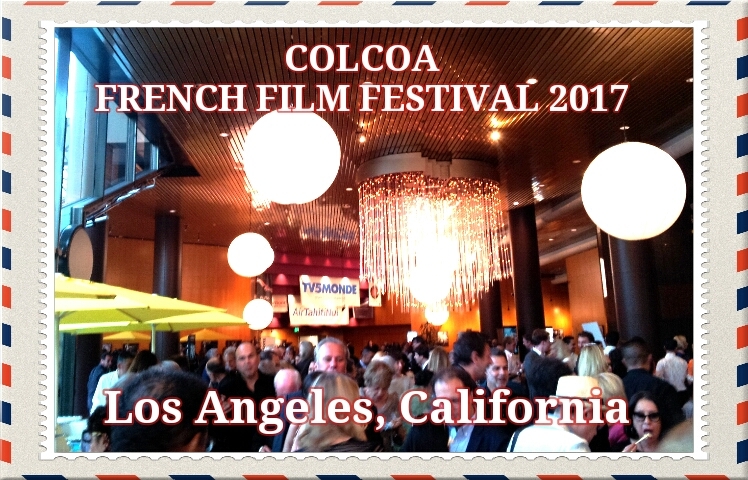 This year, Festival in LA has selected some of the Must See films in COLCOA. 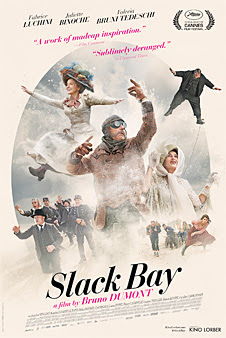 Directed by Bruno Dumont (“Humanité,” “Flanders”). A satire that mixes Buñuel and Dupieux in the Dumont’s very personal style. The grandiose cast includes Oscar© winner Juliette Binoche as a member of a family that goes on vacation to the Northern crystalline part of France, in 1910. The Côte d’Opale is a beautiful and bizarre place where people enjoy their leisure time among the locals. Suddenly, the police are investigating the mysterious disappearances of a few tourists. Directed by Christian Duguay ("Jappeloup," "Coco Chanel"). A gorgeous time-period war-drama set during the Nazi era when Germany invaded France. This true story is vividly recalled from the point-of-view of two Jewish children fleeing Paris, as they are trying to save their lives. Gripping and heartfelt, 'A Bag of Marbles' will make you pull out your handkerchiefs. 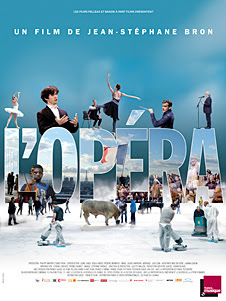 This eye-opening documentary follows the struggle of the talent, singers, and dancers as they rehearse, also the people behind the curtains responsible for producing the plays and concerts from one of the best opera houses in the world. It took two years to make this fantastic film. 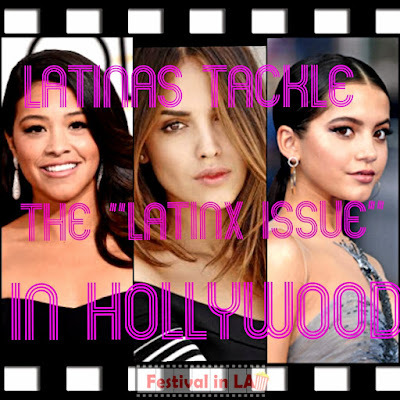 Directed by Lisa Azuelos (“Quantum Love”). 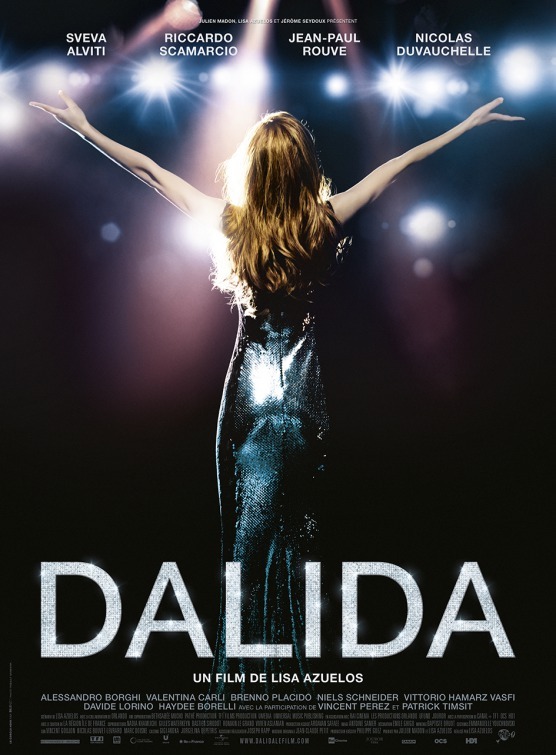 The 'Dalida' movie will make you feel like dancing. who sold more than 170 million albums. Dalida (Sveva Alviti) emigrates to France to feel emotionally liberated. and some of her most memorable performances. Directed by Angelin Preljocaj, Valérie Müller-Preljocaj. A terrific coming-of-age story about dance, courage, passion, and love. “Polina” chronicles the early years of an aspiring ballerina who will leave the Bolshoi Ballet to find her true self. From Russia to Paris, she will experience a few steps back to a full understanding of her life and her bright future. This is a delightful comedy about couplehood. - how they met, their children, their moments. He fell in love with her and her Jewish parents. He reached more fame when he took his wife’s last name because it was a Jewish last name. This story, full of ironies gets crazier, compelling and intellectually funny. 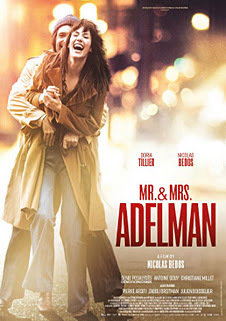 Directed by Claude Lelouch (“A Man and a Woman,” “Un + Une”). Set in a small town in the Burgundy region of France, this romantic-comedy playfully deconstructs many of the ideological and political values of its inhabitants. Lelouch has the ingredients to make out of “Everyone’s Life” a delightful comedy. 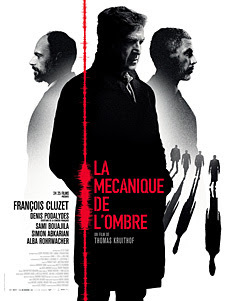 Directed by Nicolas Boukhrief (“Made in France”). 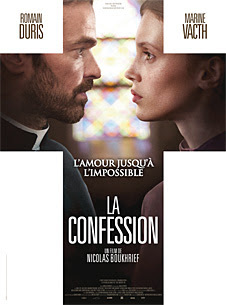 A woman named Barny (Marine Vacth), upon dying wishes to confess her love story to a priest (Romain Duris). This gripping drama set during the WWII based on the novel by Beatrix Beck, ‘Léon Morin, Pretre’ is about a forbidden romance between a beautiful married woman and a local priest. Directed by Jérôme Salle (“The Tourist,” “Zulu,” “9 Months Stretch”). 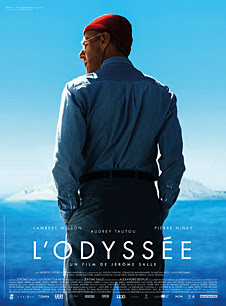 A spectacular under-the-sea adventure featuring the biopic of the most prominent French explorer, a national treasure, Jacques Cousteau. 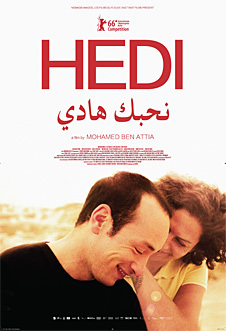 This drama takes place in Tunisia, where we meet a young car salesman named Hedi portrayed by Majd Mastoura (winner of the Silver Bear in Berlin for Best Actor). Hedi will follow his passion and challenge the local traditions by striving to marry the woman he loves rather than the one his mother chooses. The importance of this film is to know if he will be able to liberate himself from his oppression. 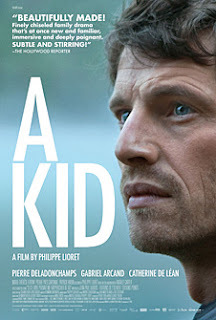 Directed by Philippe Lioret (“Stranger by the Lake”). He travels to Canada for the funeral of the father he never met. The story gets complicated when he learns his father died in a boat accident, and his body was not found. There will be no certificate of death and no inheritance until the body is found. This feels good movie focuses on the importance of keeping the family together regardless if they live in different continents. Marco Bellocchio (“Fist in His Pocket,” “In the Name of the Father,” “Blood of My Blood”). An intense drama co-produced between France and Italy. The journey Massimo (Valerio Mastandrea), a man who suffers panic attacks caused by the loss of his mother at a young age. 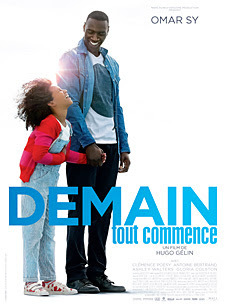 Doctor Elisa (Oscar© nominee Bérénice Bejo), will help him to overcome his trauma. Directed by Hugo Gélin (“Like Brothers”). He is playing a party animal who out of the blue has to take care of a daughter he had with a woman from a one night stand. The “modern family” drama starts as a sweet romantic comedy to end up as a “rolling tears” flick. Directed by Thomas Kruithof (“A Perfect Man”). 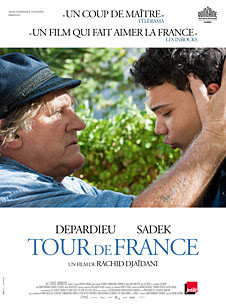 Directed by Rachid Djaïdani (“Hold Back”). A generational clash between artists and styles, race and religion. The story recounts the trip of a young Muslim rap artist and an old painter. Serge has to fulfill the promise he made to his deceased wife, to recreate the paintings of an important artist of the 18th Century. The problem in this story is that the painter is a reactionary racist who hates rap music. The contrast between both men makes the film exceptional. COLCOA FRENCH FILM FESTIVAL - A WEEK OF FRENCH FILM PREMIERES IN HOLLYWOOD. APRIL 24- MAY 2, 2017.